Indian auto industry has welcomed the government’s move to allow oil companies to determine the diesel prices in a step to bring it closer to the market prices. The passenger auto industry has seen dynamic change in the market after decommissioning of the petrol price regulation in June 2010. The price variation between the petrol and cheaper diesel has driven people towards the diesel variants. This has caused a huge demand for the diesel cars creating a distortion in the demand of petrol and diesel model. Maruti and Hyundai has already had put forward plans for developing their diesel engine facilities. The combine investment of both the company is expected to be around Rs. 4,000 crore. According to SIAM’s deputy director general, Sugato Sen, this is a good step to allow oil companies to control the diesel prices according to the market. This move will help to remove the distortion between diesel and petrol vehicles. This will also remove the talk of rich getting benefit due to diesel subsidy and companies will now not be required to wait for the government policy change for taking decision. The diesel car contribution in the total car sale was about 28 percent in 2010 which raised to about 58 percent in 2012. After a cabinet meeting on political affairs, Oil minister M. Veerappa Moily announced that MOC’s have been given permission to raise the diesel prices periodically up to a limit till they recover their loss that occurred currently about Rs. 9.60 per litre. Reacting on the news Mahindra’s chairman Anand Mahindra tweeted that minister’s decision to de-regulate the diesel prices is the first and bold step. In the fiscal year 2011-12 oil companies have incurred a total loss of about Rs. 80,000 crore. 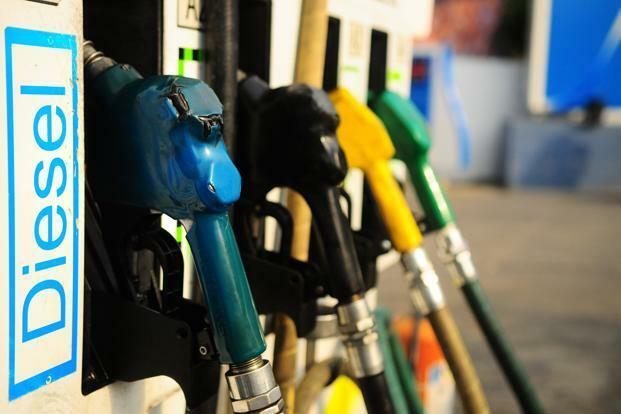 The price difference among the petrol and diesel that was widened with the petrol price rising in the May has led to the rise in the demand of the diesel cars as cheaper fuel has propelled the demand of diesel cars. Many beneficiaries have been automakers who basically sell diesel vehicles. The subsidies were mostly aimed to farmers for providing fuel for tractors and irrigation pumps. Sen also said that this will impact on the sale of diesel cars in the near term but will be beneficial in the future. He further said the despite of the periodic increase in the diesel price it will be still be cheaper than the petrol and this will give an upper edge to the diesel cars. The government has also refrained from putting heavy taxes on the diesel vehicles in the budgets despite of the pressure to curb its subsidy policies. Due to this fact government has lost potential tax on each diesel car sold. Government has earlier planned to put different pricing of diesel passenger cars and commercial vehicles, but dropped the idea as this plan may be misused and could led to adulteration.